Like no other city the world, the Orlando area is filled magic. Orlando is home to some of the top theme parks in the world. Even if you aren’t planning to go to a theme park you will love a visit to this sunny city. Near Lake Buena Vista, downtown Orlando has an atmosphere of fun and excitement and searching for rides to and from your destination can be quite easy. There are a large range of shuttle providers throughout the Orlando International Airport area offering shared ride vans such as SuperShuttle and Mears Transportation. There are also other available vehicles for travelers arriving to the area such as taxicabs and limousines which can give passengers a very luxurious way to get back and forth. Orlando is home to world famous attractions such as Walt Disney World, Universal Studios, SeaWorld, and many more. MCO airport is the gateway to all of the magic. Mears has been providing exceptional customer service in the Orlando area for nearly 77 years. They offer airport shuttle service, private sedan and limousines, taxi cabs, and more. SuperShuttle is now proud to offer service in the Orlando area. One of the most widely recognized names in the transportation industry, SuperShuttle offers shared ride and private van service. The MCO Airport in Orlando or more commonly known as the Orlando International Airport is the busiest airport in the state of Florida. The number of passengers who fly through or to the Orlando International Airport is the highest throughout all the airports in the state. Located near to Kennedy Space Center, the airport is designated at an emergency landing site for Space Shuttles. 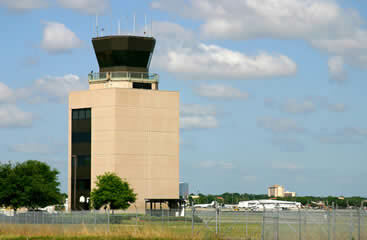 Not many people know that prior to the construction of this airport; the land was an Air Force Base. However, what most people not know is that the Orlando International Airport provides them with a number of fun things to do, both inside the airport and outside it. From providing a centrally air-conditioned sitting area for the passengers, to providing a fitness center for gym fanatics, the Orlando International Airport makes sure to allow people to have a great time while they wait for their flights, or for their loved ones to arrive. For people who need to wash their clothes while they’re at it, there is a laundry service which is available inside the airport. Moreover, an outside pool allows people to take a refreshing swim to shake of their jet lag for good! As soon as you step out, you have a number of different tourists’ spots to visit in Orlando. If you’re up for some thrilling adventure, the Orlando Watersports Complex is just a few miles away from the Orlando International Airport. However, if you just need some time away from the world, then go for a quiet and serene walk at the Barber Park. Hence, the next time you end up on the Orlando International Airport make sure to have some fun before you hit your hotel room! The Orlando International Airport is the 2nd busiest facility in Florida, making it a hectic place to pretend like you know where you’re going. Get to your hotel by reserving a shared ride van from Mears Transportation and SuperShuttle, showing up on time and without any hassles. The good thing about riding in a communal vehicle is the benefit of having plenty of seats and a cheap lift. Be sure to contact the transportation service ahead of time for pick up/drop off schedules as well as a list of stops. Whether you’re a large family that’s too big for an SUV or you’re simply inclined to enjoy the luxuries of privacy, booking a private van from our area transportation providers is a great choice for getting around town. Although booking a private van costs a bit more, the benefit of riding in a spacious private vehicle is well worth it. Luckily, there’s a lot to see around town, especially in terms of theme parks. Take a trip to Universal Orlando and spend the day waltzing in awe at the movie-themed amusement park designed for afternoons. In a world of crowds and incessant throngs pushing people into lines, it’s clear that there’s something special to be said about the nature of alone time. Take a drive to the placid waters of Lake Eola Park, a recreation area located in the heart of downtown and designed perfectly for afternoon walks. Get to this location and other iconic landmarks by booking an intimate private sedan, a local trusted name that offers comfort as well as reliability. If you’re a family looking for adventure, experience the theme park capital of the world by booking the right ride. Reserve a private SUV, courtesy of local transportation companies of which offer adequate seating for 3-5 people. With your own vehicle, you’ll be able to visit all 4 Disney World attractions, and with your own vehicle you’ll be able to arrive early as well as have the luxury of leaving whenever you want. Orlando isn’t typically viewed as a hotspot for luxe locales, but in the hidden corners of downtown, there are always a hidden gem. One of these gems is Emeril’s Orlando, a Creole restaurant with a celebrity staff that puts all other restaurants to shame. Arrive to the upscale eatery in style by reserving a stretched limousine with each ride coming fully equipped with a personal chauffeur. Orlando is one of the largest tourist cities in the country; meaning large groups are no surprise to the surrounding town folk. So whether it’s a field trip to the high-energy Blue Man Group or an office outing to Volcano Bay, which is Orlando’s newest and biggest water park. You can get to these locations and many more by scheduling a roomy chartered bus, giving everyone in your group access to all the fun they town’s got to offer. Orlando is filled with some of the best theme parks for families to visit. So if you are looking to find good deals or discover new places to go to the Visit Orlando website and see what you might be missing and rediscover Orlando on your next stop in town. While there are many cities that could be on your list to take your family to there is not one that is more common than the Orlando area. With some of the biggest and most amazing theme parks in the world Orlando has a lot to offer its visitors who land at MCO airport each year. When you arrive you will be able to board your pre-booked airport ride from a vast amount of shuttle providers who offer their services to get you to your destination in this large city. The Orlando International Airport is situated near South Semoran Blvd and the Martin Anderson Beachline Expressway. This airport is conveniently located near many of the theme parks in Lake Buena Vista such as Magic Kingdom, Epcot and popular Disney’s Hollywood Studios. You can book reservations for shared ride vans or private vans to the resorts or hotels located near these theme parks such as Disney’s Saratoga Springs Resort & Spa or one of the golfer’s favorite resort at Villas Of Grand Cypress Orlando. Lake Buena Vista is about 20 miles from Orlando so getting to and from the MCO airport is quick and easy. With world famous places to visit such as Magic Kingdom Park and Disney’s Hollywood Studios there is no shortage of things to do in this area. One of the busiest streets in Orlando’s International Drive, also known as I-Drive, is located just down the street from SeaWorld Orlando and Aquatica for those looking for a good place to cool off in the water and soak in the sun. For a taste of Orlando’s nightlife visit CityWalk. CityWalk is located at the entrance of Universal Studios Florida and Universal’s Islands of Adventure. City Walk is home to many unique entertainment options. There are also plenty of restaurants along side them such as Jimmy Buffett’s Margaritaville, Hard Rock Live and Bob Marley-A Tribute to Freedom. Getting rides from MCO airport to nearby hotels in Orlando is easier if you plan your trip early. You can search for the best rate and select which vehicle fits your group the best online. Among some of the popular resorts you can plan your visit at are the Grand Bohemian Hotel Orlando as well as the Loews Portofino Bay Hotel which is great place to make your overnight stay with if your group is planning to spend some time at the Universal Orlando Resort. Airport rides in Orlando are available for hotels close to locations throughout the city. You can discover hotel rooms with great service and close locations near favorites such as The Mall At Millenia for those who want to find great shopping or you can drop by the many entertainment and amusement rides that are along International Drive. Orlando is home to one of the biggest convention centers in America at the Orange County Convention Center shuttles. The OCCC is located near Universal Studios Florida and many of the area’s best tourist attractions. If you take a short drive down International Drive there is SeaWorld Orlando which features world famous Shamu and sea life from around the world and also Aquatica which is a water park owned by SeaWorld. Getting rides to and from your hotel room to any of these locations can be easy when you book online and search for the best shuttle rate and vehicle for your trip.